To increase new patient leads, improve patient retention, and boost referrals, you need a strategic marketing plan. Many seemingly “tried-and-true” strategies from the past have lost their effectiveness. Others must be updated to fit the modern landscape. Chiropractic is no different than any other industry. Traditional forms of advertising have lost their potency. Increasing competition has cluttered the market. Sustaining your practice on referrals alone may no longer be an option. If you’re experiencing these pains, you may need to alter your approach. Consider these three marketing mistakes made by chiropractors and see if it’s time for a new marketing strategy. The Internet contains hundreds of millions of websites. Businesses of all sizes use this channel to reach new customers. 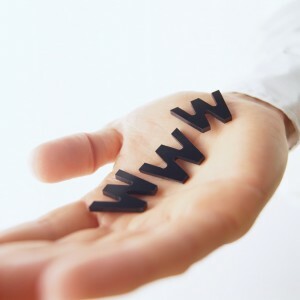 The Internet has revolutionized business, as it is an integral part of our everyday lives. Prospective patients rely on the Internet more than ever, as they scour the Web for information on their health. This is why having a practice website is so critical. Without one, your practice is ignoring countless people searching for a practice just like yours. Sure, some people are hesitant to find a doctor on the Internet. But millions of people do every year. Meanwhile, traditional forms of marketing are becoming less and less effective. If your patient base is in decline, you might consider creating a website – or if you already have one, reexamine your existing site. Your website must be contemporary, resonate with your ideal patient, and help persuade an interested visitor to choose you. Your website is a springboard for other online ventures. In essence, it’s the hub of all your online marketing efforts. If someone is writing about your practice, you want to know about it. Online review sites are increasing in popularity. Everything from restaurants to chiropractors, people want to see what others are saying (even if they are strangers) before making a commitment. To keep tabs on your online reputation, perform a Google search of your practice. You may have dozens of positive reviews you didn’t even know about. If you discover negative feedback, it’s important to respond to those reviews in a professional and courteous manner. Note: Read one of our previous blogs to see how you can grow your online presence on doctor review sites. If you already have a website, is it mobile-friendly (test your site here)? Do you have social media profiles, and are you actively working them? Are you measuring your results to ensure the efficacy of your marketing efforts? Are you following best practices when it comes to content, search engines, and local listings? Traditional forms of advertising are going by the wayside. Without an up-to-date website, and a sound online reputation, you’re missing out on a host of new patients. Avoid these common marketing pitfalls and start getting new patients today. To keep current on all of the latest trends in online chiropractic marketing, subscribe to our blog. You’ll get all the latest tips and tricks to grow your online presence and get new patients from the Internet. « New Chiropractic Website – Just Launched!